Featuring a roof terrace bar and a cocktail lounge, the NH hotel is a great place to unwind. Located in Terminal 2, this stylish option also boasts a large restaurant, function rooms, swimming pool and a fitness suite/spa. Located at Terminal 1, the modern Hilton houses its own restaurant, bar, business centre and fitness room. A complimentary shuttle service to and from Terminal 2 is available to guests. 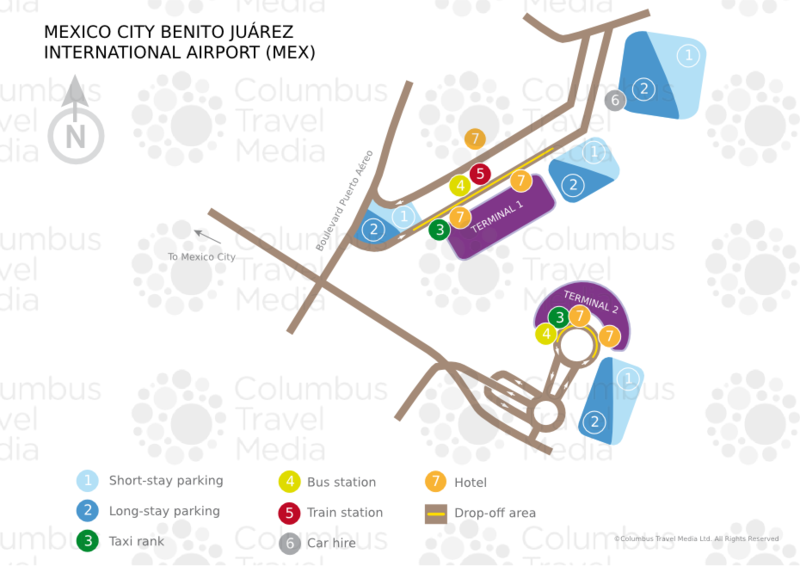 Although just off site, the Airport Camino Real Hotel is linked to Benito Juárez International Airport by a pedestrian tunnel. This large, brightly decorated hotel offers a range of dining and business options, as well as a gym and indoor pool. A good budget, business-focused hotel located near the airport, the 327-room Fiesta Inn boasts a pool, fitness area, business centre and meeting rooms. On-site dining is available at the hotel's buffet-style restaurant.